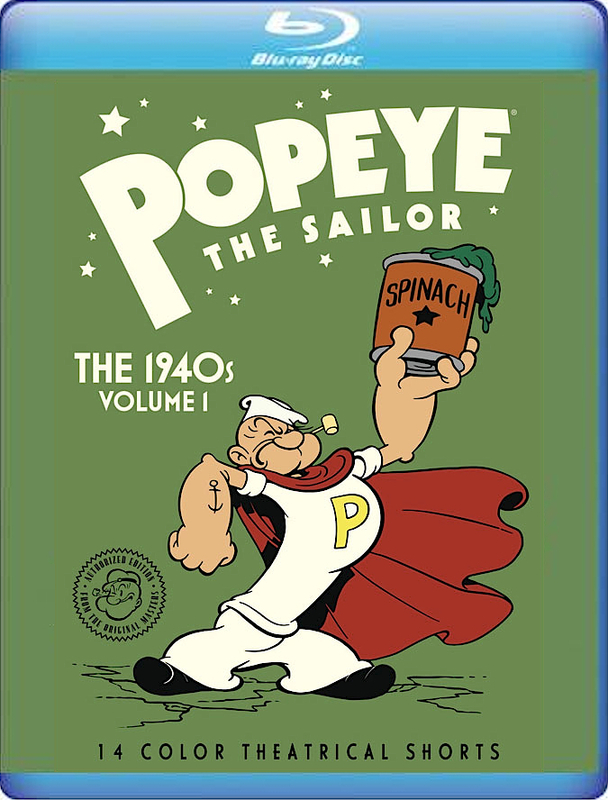 Lost at sea for decades – this set collects the first two Technicolor seasons of Popeye's animated theatrical shorts (1943-44 and 1944-45), making them available for the first time ever on home video: complete, intact and outrageously funny. What else would you expect from a two-fisted, spinach-munching sailor man? Collection includes Her Honor, The Mare; The Marry-Go-Round; We're On Our Way To Rio; The Anvil Chorus Girl; Spinach Packin' Popeye; Puppet Love; Pitchin' Woo At The Zoo; Moving Aweigh; She-Sick Sailors; Pop-Pie A La Mode; Tops In The Big Top; Shape Ahoy; For Better Or Nurse; Mess Production. Popeye the Sailor: The 1940s Volume 1 is intended for the Adult Collector and May Not Be Suitable for Children.